There are many different types of supervisory positions, ranging from entry level trainee jobs to executive-level positions. If you are in the market for employment as a manager, your resume should include an objective statement that clearly conveys what type and level of position you hope to obtain. The statement should also be reiterated in your cover letter, to reinforce your commitment to finding the type of job for which you are applying. If you are a recent college graduate or someone who is ready to move from working as a line-level employee to a supervisory role, one of the following sample objectives may work for you. To be accepted into XYZ Company's management training program. Seeking employment in an entry-level supervisory or management trainee position. To obtain a position as an assistant manager with XYZ Company. Seeking a promotion to shift supervisor with XYZ Company. To obtain a position in the XYZ industry with supervisory responsibilities. If you have experience in a specific aspect of business operations and want to take on managerial duties specific to your area of expertise, consider the following sample objectives. To become a production supervisor in a manufacturing environment. Seeking employment as a call center supervisor. To obtain a finance manager position, overseeing both staff members and departmental functions. Seeking employment as a sales manager overseeing a team of inside and outside sales representatives. To obtain employment as human resources director with XYZ Company. If you are seeking a position that will involve overseeing an entire company, division of a company or a specific location or region, one of the following statements may be appropriate for you. To obtain a leadership position that involves functional and personnel oversight responsibilities in the XYZ industry. To obtain a position as a general manager with XYZ Company. To join XYZ Company as operations manager for the XYZ location. To become plant manager with XYZ Company in the Southeast region. Seeking a regional operations position with a residential property management company. If you have significant experience and leadership skills and are ready to seek an executive-level or C-Suite position, one of the following sample statements may provide a good starting point for you to develop your own. To obtain a position as Executive Director with a nonprofit organization that utilizes expertise specific to business management, budget oversight and administration of federal grant programs. Seeking employment as Chief Executive Officer with a dynamic organization seeking leadership from a seasoned professional with experience overseeing all aspects of business operations. To become Chief Operations Officer with a manufacturing company that is committed to developing and marketing sustainable technologies. Seeking a Chief Financial Officer position that requires a strong background in finance, accounting, leadership and strategic planning. To become Chief Information Officer with an organization that has a strong commitment to developing and implementing a progressive strategy for efficient technology utilization. Keep in mind that the purpose of an objective statement is to clearly and succinctly communicate to prospective employers exactly what it is that you want to do. It should be a 'hook' that lets them see you as a viable candidate and makes them want to review the rest of your resume to see if you have the skills and background that they need. Your decision must, of course, be based on your immediate career goals and your background. Choose a basic format that is right for you at this point in your career and alter it based on the actual job you are applying for. Of course, ultimately, the objective you decide to use must be specific to your situation and career goals. Feel free to use any of the sample objectives provided here, or simply use them as a starting point to brainstorm for statements that better reflect the type of position you hope to obtain. 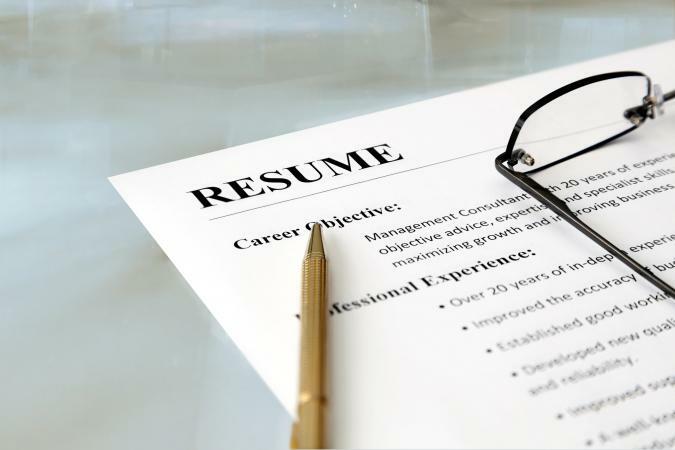 Whatever you decide, be sure to follow key tips for writing good resume objectives and make sure that your overall resume is polished, professional and up-to-date. You may also want to consider hiring a professional resume writing service to create, or at least help you perfect, a winning resume that includes an appropriate, effective objective.